Today a new altcoin has been launched called FreshCoin that uses a new algorithm that they called fresh that supposedly offers 15% to 20% less energy usage compared to x11 / x13 / x15. The Fresh algorithm combines some of the low energy hashing algorithms (SHAVITE, SIMD and ECHO) and the 5 rounds of multiple algorithms are supposed to provide high security and to keep ASIC miners away according to the authors of the coin and the new algorithm. We have compiled windows binaries of both the ccMiner fork with Fresh support for Nvidia as well as the sph-sgminer fork with Fresh support for AMD GPUs and you can download and try them below if interested in trying out the new altcoin. 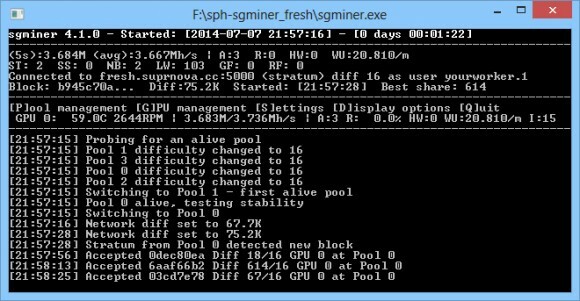 Our tests have shown that on an AMD Radeon R9 280X GPU we are getting about 3700 KHS mining with the sph-sgminer fork for Fresh and on a GeForce GTX 750 Ti we are getting up to about 3100 KHS mining Fresh with the ccMiner fork and about 6500 KHS on GeForce GTX 780 Ti. 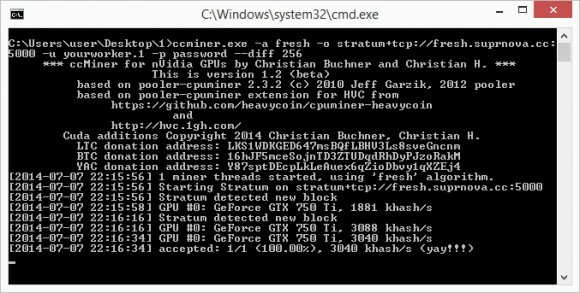 The results are quite good in terms of performance and it seems that Nvidia miners using 750 Ti and other more recent and powerful GPUs may have some advantage performance wise. Also initially the coin did not have an option for renting mining hashrate as the algorithm was something new and there were no miners for it until the release of the coin. Now however you can already rent some hashrate from Mining Rig Rentals, so it did not take that much time. 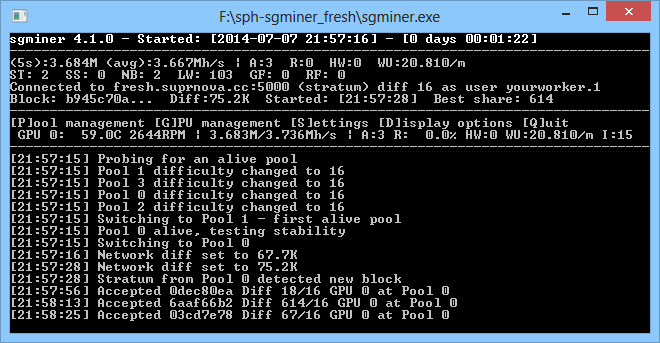 You can still join with your GPUs and mine some FreshCoin while the blow reward is highest and the network hashrate hasn’t jumped through the roof.